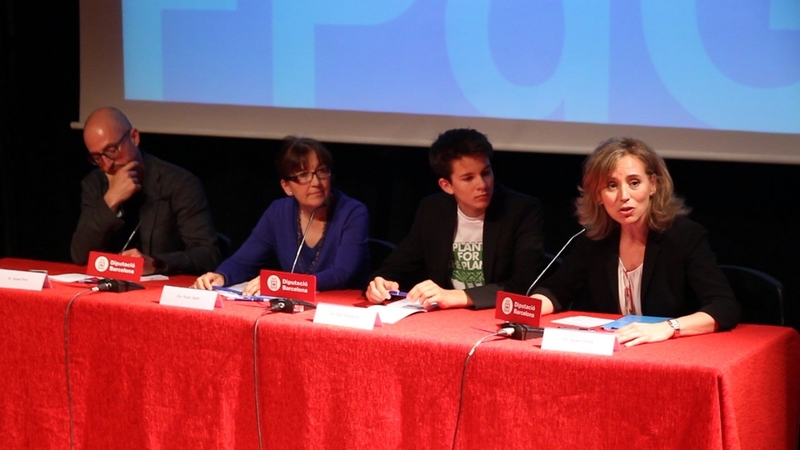 Linguist and doctor of computational science Luz Rello Sánchez (Madrid, 1984) has been named as the winner of the 2016 FPdGi Social Award for having used her knowledge of artificial intelligence “for the common good” to develop digital tools that are already being used to prevent and detect dyslexia. Rello Sánchez, who since she was a child has had to deal with dyslexia —a disorder that affects 10% of the population and which is one of the main causes of school drop-outs— has been chosen for her “personal battle to overcome her difficulties which is an inspiration to other young people”. 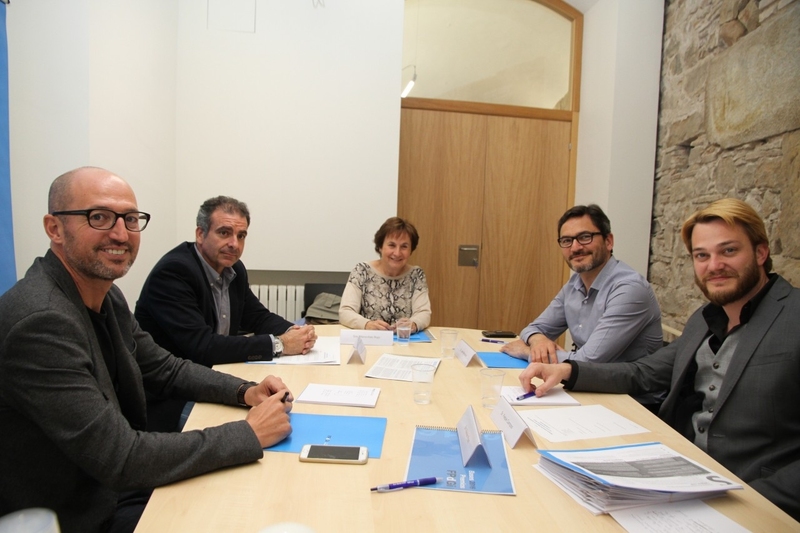 The jury, meeting at the Cáritas Diocesana Barcelona office, highlighted that the winner has developed “a sustainable and replicable model that uses technology to tackle the social challenge of dyslexia, for the benefit of all and with a high multiplier effect”. 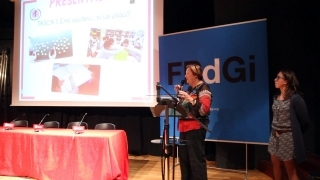 On hearing the jury’s decision, Luz Rello stated that the award “comes at a perfect and key moment for the project” because in November she will present one of the project’s main tools which will help doctors, parents and schools detect problems with reading and writing at an early stage. “The tool not only detects problems, it also proposes supporting exercises; it is based on cutting-edge artificial intelligence technology, which means it can reach many more people”, explained Rello. With this final presentation, the FPdGi concludes the cycle of winner announcements for this year’s Princess of Girona Awards. 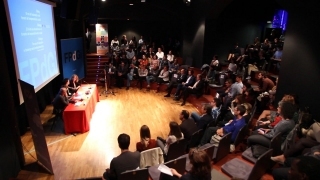 In addition to Luz Rello, Elena Medel and Andrés Salado (FPdGi Art and Literature Award), Sergio Álvarez Leiva (FPdGi Business Award), Sílvia Osuna Oliveras (FPdGi Scientific Research Award) and Tomillo Foundation (FPdGi Organisation Award) will collect their respective awards in a ceremony to be held on 1 July at the Girona Conference Centre, presided over by Their Majesties the King and Queen of Spain. 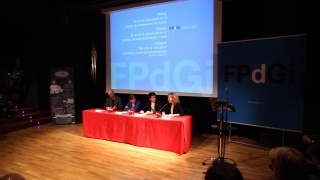 The members of the jury in this edition of the FPdGi Awards in the Social category were Sebastián Mora, General Secretary of Cáritas Spain; Maravillas Rojo, entrepreneur and promoter of the social and cooperative economy and city networks; José Moncada, CEO of La Bolsa Social; Felipe Campos, Director General of the Ítaca Educational Association and FPdGi Social Award winner in 2013; and Xavier Pont, cofounder of Ship2B and head of the impact investment area. The Social category rewards young people who have used their personal leadership skills and commitment to successfully create and promote projects that seek the integration of marginalised people and groups or those at risk of exclusion, with new visions and through social entities or businesses. 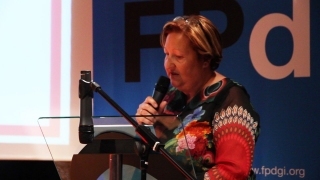 Of the 209 nominations received for the seventh edition of the FPdGi Awards, a total of 26 were for the Social category. After the jury announced its verdict at the Francesca Bonnemaison space in Barcelona, a round table discussion entitled “The role of education in fostering social entrepreneurship” was held with Felix Finkbeiner (Plant-for-the-Planet), Xavier Pont (Ship2B) and Roser Batlle (Spanish Service-Learning Network), moderated by Belén Viloria (Ashoka). The announcement event ended with a new edition of the Best Practices Conference on the Teaching Entrepreneurial Talent 2015-2016 programme, which sought to share the experiences of more than 50 teachers in entrepreneurial projects run in the participating educational centres in the third edition of this training programme. 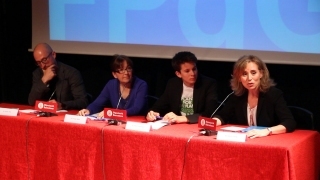 Luz Rello Sánchez graduated in Linguistics from the Complutense University in Madrid and obtained her PhD in Computational Science from the Pompeu Fabra University. She also has a Master’s in Human Language Technology from the University of Wolverhampton (UK) and the Autonomous University of Barcelona. Rello Sánchez, who has been dealing with dyslexia since she was a child, has combined her linguistic and computer science training to create tools designed to stop young people dropping out of school because of dyslexia, a disorder that affects approximately 10% of the population. She is the founder of Change Dyslexia, an online social project which has so far developed a dyslexia detector, Dytective, and intervention apps to improve reading and writing skills, as well as Piruletras, to improve spelling (32,000 downloads in 73 countries) and IDEAL eBook Reader for writing skills (35,000 downloads). The Dytective detector is being scientifically evaluated with the help of 10,000 children (58 schools/centres), and during 2016 the Education Council of Murcia will be integrating it into its schools (250,000 children). 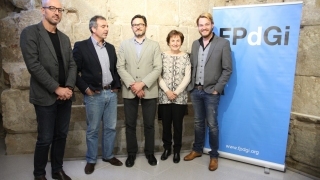 The FPdGi Scientific Research Award, which was announced on 19 April at the Valencia Council of Culture, went to the chemist from Girona Sílvia Osuna Oliveras for her contribution towards reducing the cost of drugs by manipulating enzymes using computational chemistry. This award recognises the work of young scientists (including those working in human and social sciences) with outstanding research projects or experiences in their field that are entrepreneurial, innovative and show strong potential for future development. The FPdGi Organisation Award, which was presented to Tomillo Foundation on 26 April in Madrid in an event held at the offices of Secretariado Gitano Foundation and presided over by H.M. the Queen of Spain, recognises the outstanding efforts of entrepreneurial institutions that work for young people, fostering entrepreneurial spirit, employment and employability, education and academic success, vocation and talent. 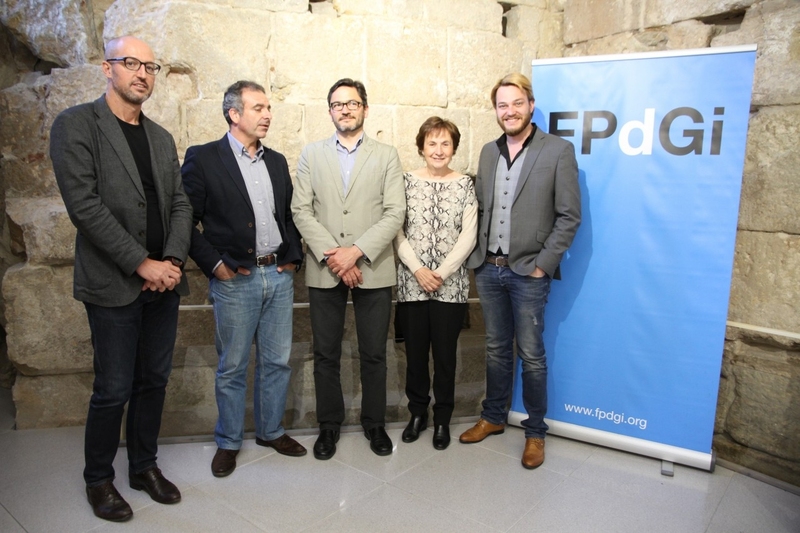 The FPdGi Awards presentation ceremony, with a prize of €10,000 and a reproduction of a sculpture by Juan Muñoz, will take place on 1 July in the presence of Their Majesties The King and Queen of Spain, as part of the two-day programme of workshops being hosted in the city of Girona. The first day will include various activities for young people in the city’s historic quarter, and a new edition of the Close Encounters meetings. 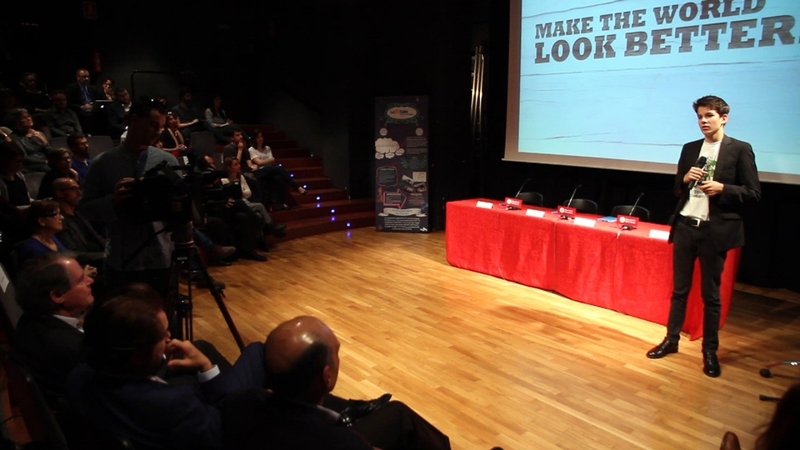 On the second day, the national 3rd Teaching Entrepreneurial Talent in Schools Conference will be held together with the annual meeting of the participants in the Mentoring Talent programme.